Children face many dangers—falling off furniture or getting struck by another child being two of the more common. But children also face injury from the clothing you buy for them. On February 28, 2018, the Lemur Group recalled its PL Sleep Children’s Sleepwear because the nightgowns failed to meet the government’s flammability standards. As a result, the sleepwear carries an increased risk of burn injuries. Consumers have bought about 1,100 units in the United States and an additional 380 in Canada. 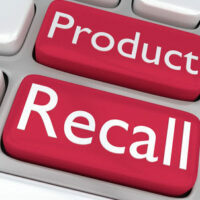 This recall is only the most recent involving children’s clothing. Earlier in the month, a children’s romper was recalled because it posed a choking hazard, and an infant bodysuit was recalled for the same reason. When the unthinkable happens and a piece of defective clothing injures your child, you might be entitled to financial compensation. We buy clothing expecting it to be safe. After all, the federal government has extensive regulations in place to make sure clothing does not pose a hazard to children. Nevertheless, dangerous clothing enters the stream of commerce regularly. As the PL Sleepwear situation shows, some clothing flatly fails to satisfy government safety standards. Other articles might pose a danger in a way that is hard to anticipate. Design defect. Something about how the article has been designed renders it unreasonably dangerous. For example, the collar on a baby bodysuit might be too small, posing a choking hazard. Manufacturing defect. There might not be anything wrong with the design. However, the way the individual article was made renders it unreasonably dangerous. For example, poorly sewn buttons might pop off, which your child might swallow. Inadequate warnings. A product can also be unreasonably dangerous if it does not come with adequate safety warnings or instructions. Each situation is different, but our Daytona Beach personal injury lawyers are experienced at identifying clothing defects and then explaining them to juries. Show this evidence to your personal injury lawyer, who will find it helpful when deciding whether you have a valid legal claim. When children are injured, worried parents might feel helpless. Take control of the situation by reaching out to a Daytona Beach attorney to discuss your case. At Bundza & Rodriguez, we have helped many families receive financial compensation for injuries caused by a defective product. Call us today toll-free at 866-785-5470.